Life coaching has become an increasingly popular approach to taking control of situations and learning how to improve your life. The process involves teaching you ways of focussing on various aspects of your life in order to gain more balance. As an example, one of the tools that is used in helping you to gain clarity around your current strengths and limitations is called the ‘Wheel of Life’. 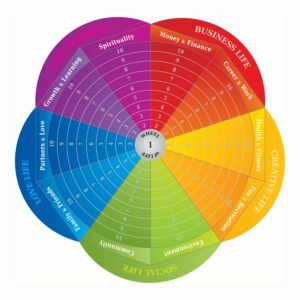 In scoring each of the different parts of your life, and then joining up to scores, we can begin to see what areas of your life may be lacking, and in need of attention, so that you are able to start experiencing a more balanced perspective. Life coaching also extends to helping people look at ways of improving their business, and this also has become an important part of improving a business’s growth and performance. With experience in coaching people in both matters of life, and business, Tom and Sandra at Colchester Counselling and Psychotherapy Practice will be able to help you in achieving your aims and goals, and improving the quality of your life.